This lagoon of salty water is the widest in Europe and one of the last stop-overs of the big migration of the common cranes. More than 10.000 cranes have chosen this place for winter, but more than 100.000 can gather there before starting their long journey to the North. Located on a plateau at more than 1000 m. in altitude, the 14 Km2 lagoon of Gallocanta (Aragon), is the biggest salty lake in Europe. However the depth of the water can vary according to the meteorological variations (2 m. maximum). 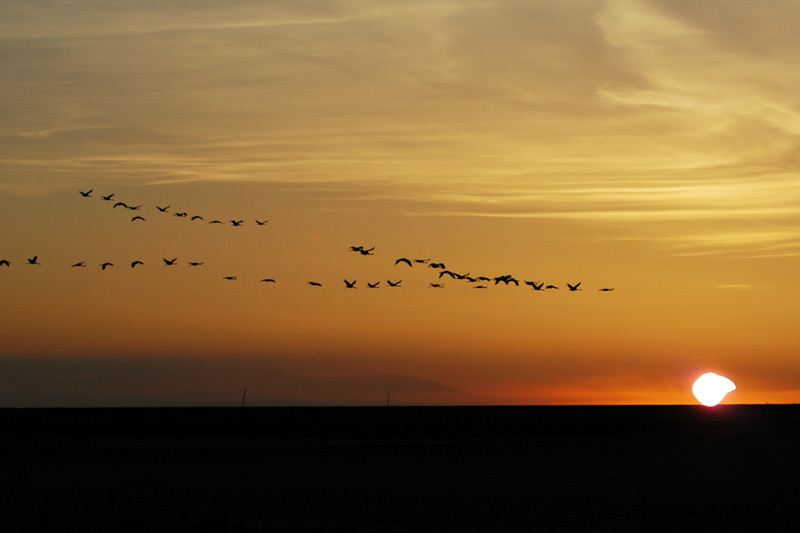 Its strategic position on the migratory birds’ routes is a preferential place for bird watching. 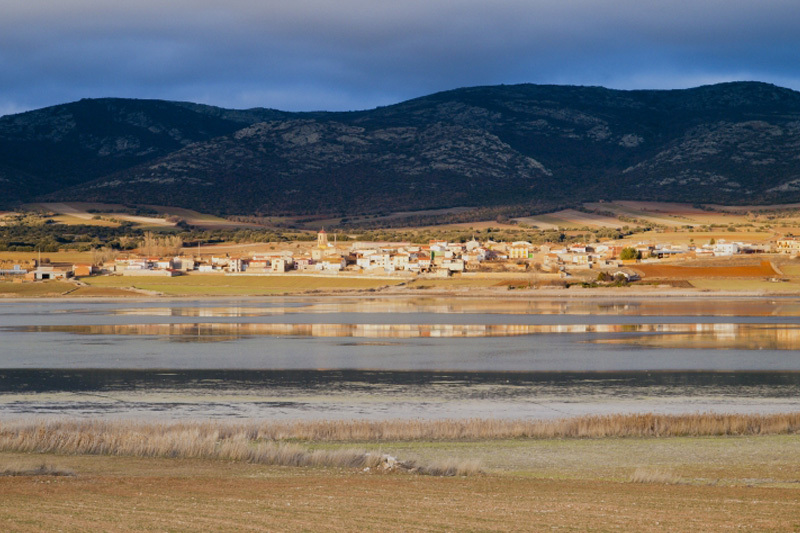 The river basin of Gallocanta offers the second biggest aquatic bird concentration in Spain, after Doñana (Andalusia). At the end of September, these birds which have nested in Norway, in a large part of Sweden and on the South bank of the Baltic Sea, gather to start their big migration to reach Extremadura, in Spain, to spend winter. However, most of those birds (from13.000 to 23.000) prefer wintering at the penultimate stage of their journey at Gallocanta. 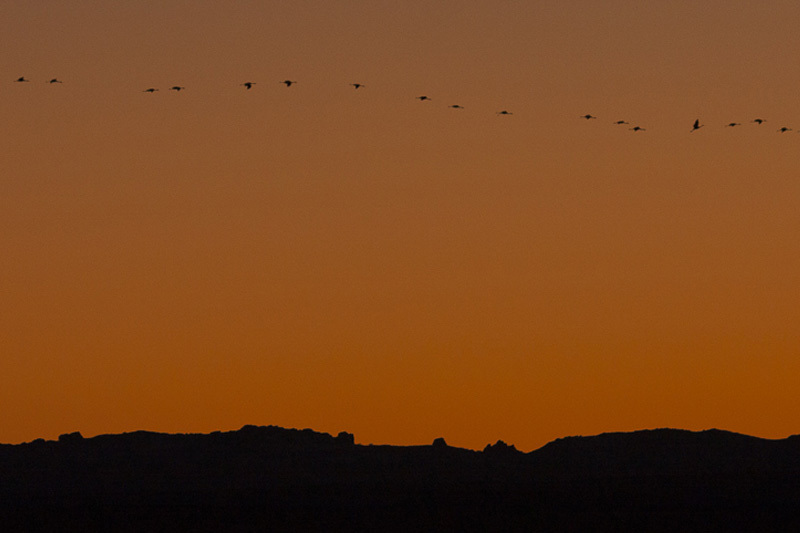 The migration corridor is always the same: the birds that have left Scandinavia, fly day and night, following the route which lead them to stop at a traditional stop-over. Among them there is the site of Rhin-Havelluch (Germany), the lakes of Der, of Orient, of Temple and of Amance (Champagne-Ardennes), the site of Flavignac (Limousin)… and the site of Gallocanta (Aragon). 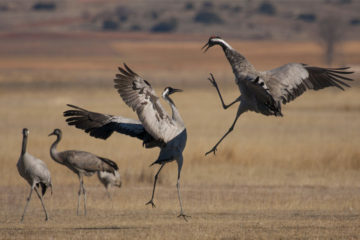 The migration of the cranes coincides with the acorn maturation in Extremadura, which they ingest in large quantities. 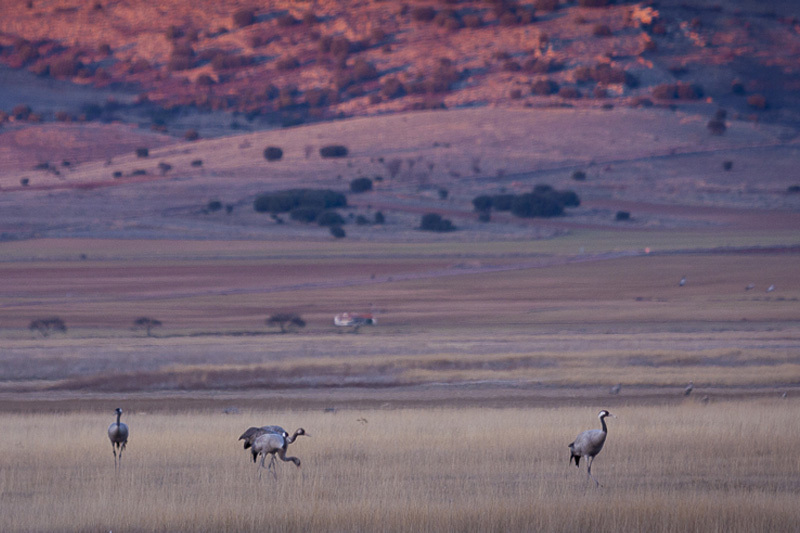 In Aragon, the arrival of the common cranes takes place in October. It’s during the big departures, from the middle of February to the beginning of March, when we can observe the largest birds’ concentration (record on March 9th 2013 with 135.000 birds counted). Nevertheless, apart from these extraordinary ornithological days, there are always, during the winter season included in between these two dates, thousands of birds. 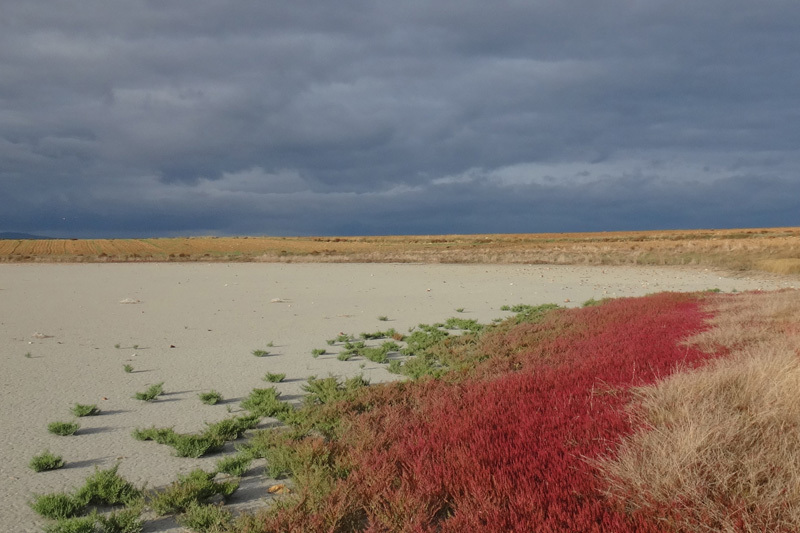 Gallocanta is above all a stop-over for all the birds that move between the nesting areas of the far European regions (from the center of Europe to the North of Siberia or Iceland) and the winter season sectors of Southern Spain or Northern Africa. 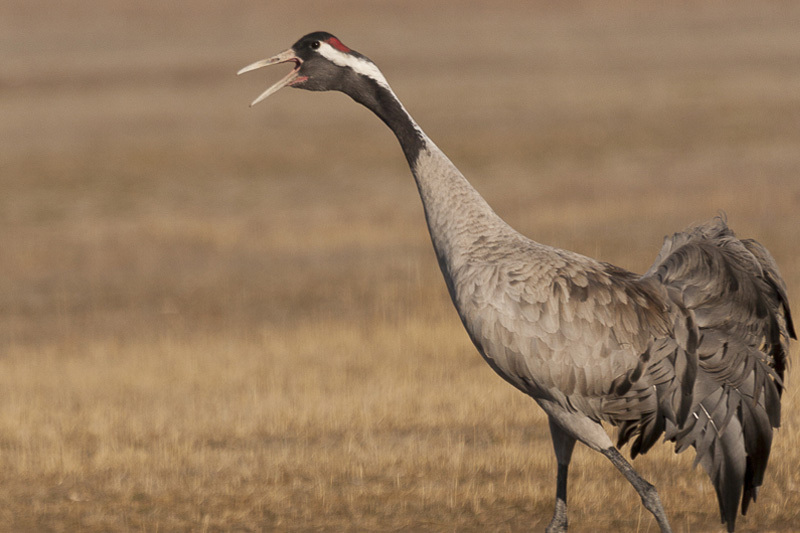 Some of the birds come with through regional migrations. But we also find a contingent of birds that have chosen this area to spend winter or nest during the summer. It’s the reason why we find all yearlong a large variety of birds; according to the species, some dwell there permanently , some stay only in winter, in summer or only during the migration period (September/ October or February/March). Called before Calat Darwaca this town, founded by Arabs from Yemen in 862, remained Muslim over 400 years, and would only be reconquered by the Christians and Alfonse I King of Aragon in 1122. 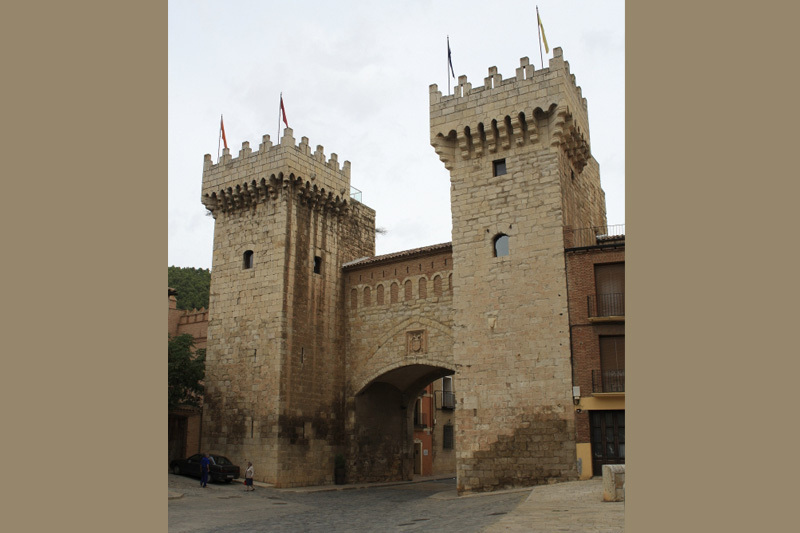 The fortified town is surrounded by a high wall of 4 Km, built between the XIII and the XVI centuries, is still entirely preserved. It has flanked towers as well as several entrance doors. For a long time, the three cultures (Christian, Muslim and Jewish) lived together. The “mudejar” art (Christian art influenced by Arabic art) flourished all throughout the region, giving birth to fantastic architectural pearls, such as a few churches and some civil buildings in Daroca. 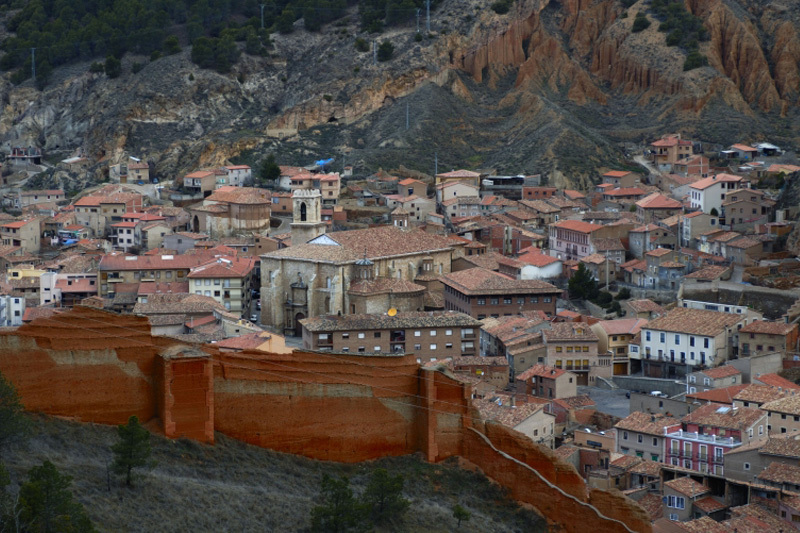 Later the town went through the wars of succession to the Spanish throne, the war of Independence against the Napoleonic army (which sacked and destroyed part of the town), the Carlist wars, the civil war… Each of these episodes left its own mark.